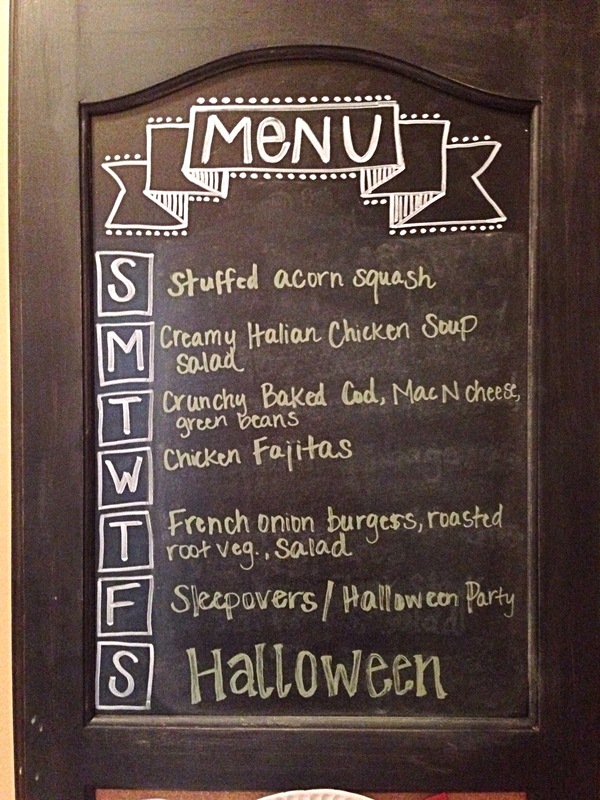 Trying to get back in the habit of writing out my weekly menus. Starting the week off organized just makes me feel good! We are doing some renovations on our new home, so things are out of place and cluttered (which can drive me batty! ), but at least I have my menu and grocery list done. A little bit of order in our house of chaos! The stuffed acorn squash we had last night was wonderful! I’ll work on getting that recipe up later today. Hope you all have a wonderful week!